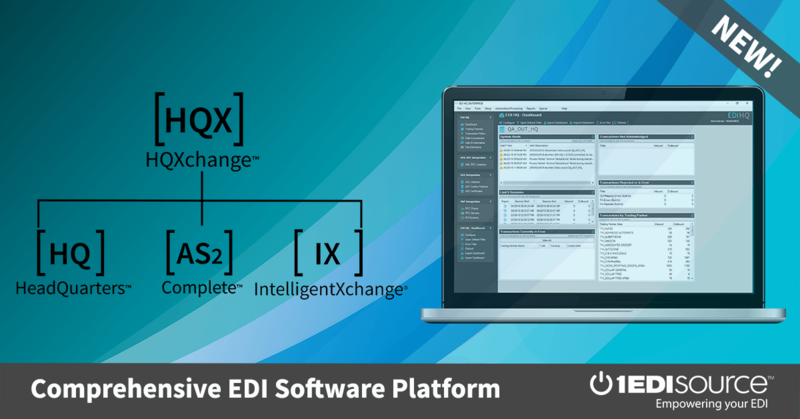 Reduce costs and improve time to market with an efficient powerhouse integrated EDI solution. Control forecasting, manage inventories, procure materials, fulfill orders and replenish stock on time and with ease. Our EDI solutions were built with fast paced manufacturers in mind, so that you can reach operational efficiency and reduce costs. Our EDI solutions automate common tasks, allowing you to save not only time but see a reduction of errors by eliminating manual data entry. With our system integration you’ll see the flow of information, increase in speed and improved accuracy. Which solution best supports your level of needs? Whether you need a solution for a small business or a complete EDI infrastructure, we can help. HQ is a robust solution for suppliers and with multiple and large trading partners and has the flexibility and scalability to grow with your business. MX is a program designed to support larger organizations who want to focus on their core competency instead of EDI. PX is our web-based solution, ideal for businesses with a limited number of trading partners. Plus, our EDI solutions come with built-in support for virtually any communications protocol. That means it’s easy to configure your system to handle ANX, FTP (including sFTP and FTPs), VAN, AS2, Web Services, and more. Contact our experts to learn more about our EDI solutions. Looking to Get Your Suppliers EDI-Compliant? 1 EDI Source makes it easy with partnerXchange, a web-based EDI exchange portal that can help you achieve 100% compliance.